To check which version of CUDA and CUDNN is supported by the hardware or the GPU that is installed in your computer. The first step is to check the compute capability of your GPU, for that you need to visit the website of that GPU’s manufacturer. 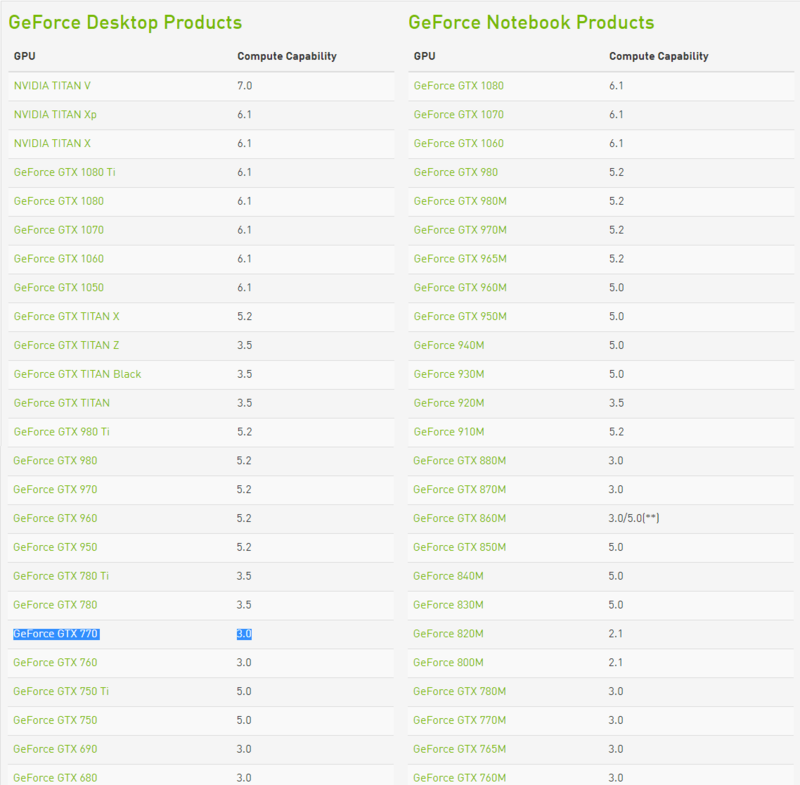 For example, your installed GPU is Geforce GTX 770, by looking at their official website, it is mentioned there as shown in Figure above that it has Compute Capability of 3.0.